Supply Chain Finance Stays Off the Balance Sheet—But How? 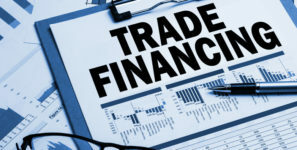 SUPPLY CHAIN FINANCE IMPROVING EACH PARTY’S WORKING CAPITAL POSITION: It improves cash flow for the buyer, but its true function is as a supplier financing tool. A supply chain finance program must provide financing to suppliers—not the buyer. Supply chain finance involves extending supplier payment terms by the buyer. Supply chain finance allows suppliers to sell invoices to funders for early payment. For companies looking to improve cash flow, there is no shortage of options. The real challenge is finding an approach that doesn’t have a negative impact on the company’s financials. Conventional methods like raising debt or traditional factoring—both of which increase debt-to-capital ratios—come at a price, as do most working capital optimization strategies. So, how do supply chain finance transactions avoid being classified as bank debt? It comes down to the structure of the program. A supply chain finance program must demonstrate that its purpose is to provide financing to suppliers—not to the company administering the program (also known as the buyer). Furthermore, it’s important to remember that supply chain finance is part of a multi-pronged working capital optimization strategy. The first prong is the extension of supplier payment terms by the buyer—from 45 to 90 days, for example. The second prong offsets the negative impact on participating suppliers by allowing them to sell their invoices to funders (typically large financial institutions) for early payment. Using the example above, this allows the supplier to receive payment for an invoice on, let’s say, day 10. Meanwhile, the buyer doesn’t have to pay the funder on the invoice until day 90, improving each party’s working capital position. In other words, while supply chain finance improves cash flow for the buyer, its true function is as a supplier financing tool. David Quillian joined PrimeRevenue as general counsel in 2007. He and his team have been instrumental in creating the unique legal structures that support PrimeRevenue’s multi-funder model and PrimeRevenue Capital Management. Prior to PrimeRevenue, Quillian was general counsel at Harbor Payments, which was acquired by American Express.